Few villains in the fantastical world of Doctor Who spark such terror as the dreaded Cybermen – the murderous cyborgs with a bone chilling lack of emotion. 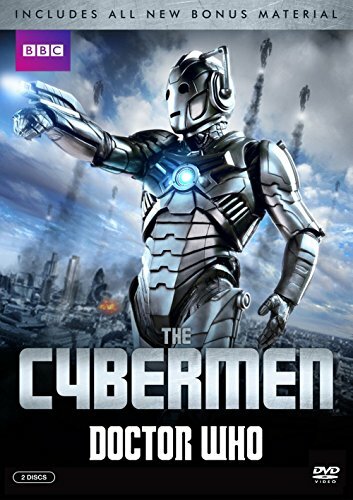 This special release features thrilling episodes with David Tennant, Matt Smith, and Peter Capaldi as well as a bonus 4-part Classic Doctor Who Cybermen story and an all-new documentary on the genesis of these frightening creatures. Sure to be a favorite with current and new fans alike! Michael Finn Moonbase under siege 'There are some corners of the universe... which have bred the most terrible things. Things which are against everything we have ever believed in. They...' he shivered in spite of himself,'... must be fought. To the death. 'I do like it when the Cybermen are sneaky. They really can be quite creepy as they infiltrate their targets, keeping hidden as they undermine and convert. All this stomping about in formation they do nowadays just doesn't have the same scare factor. But I'm a long way from nine years old now... so what do I know?Script Editor Gerry Davis on the 1967 story transcribes the Kit Pedlar script to novel pretty much word for word. He does add a strong narrative though and there are also a few references to the real moon landing which hadn't taken place when the episodes were first shown but revisiting the script in 1975 gave him the chance to arm Ben and Polly with knowledge that would back up their new 1970s origins overwriting their 1960s one from debut story 'The War Machines'. It's a nice touch. The story relies on the often used 'base under siege' story template so often employed during Pat Troughton's era, though there's little attempt to keep the Cybermen under wraps as the tv episodes did. No mystery threat here. It's the Cybermen - woo-hoo. They're on the cover and we get a little origin prologue to kick off. With half of the serial missing reading this rereleased novelisation is probably the best way to either relive the adventure or discover it for the first time. Great stuff.This new edition includes an introduction by Gareth Roberts, the original illustrations by Alan Willow, profiles of gerry Davis and Kit Pedlar and a look at the changes made to the tv script and the novelisation. ALIEN5247 Return of the Cybermen! This Cyberman figure is fantastic! I did not buy it to play with as I am 19 but bought it to stand on my desk as it looked a bit empty and I must say the quality is fantastic. Its like the costume from the Show only shrunk down to 5 inches. Every pipe and every joint. The detail is so good the bolts on the knees and elbows have the notches used for a robot or screwdriver for tigtening them, not a single thing has been left from the detail. The paint is also very good giving the appearens of real stainless steal. If you are thinking of buying a Dr who Figure to have on display or collect them than this is must for all you fellow Who fans out there. Also children will be thrilled with it as it is fully jointed and not at all flimsy and liable to break even the hight of a heated imaginary battle against the Daleks.Note. This is the Model of Cyberman seen in "ARMY OF GHOSTS and DOOMSDAY" so the figure has a rist blaster on its right arm. Alicia Michaels "Alicia" a perfect little monster this is a 5 inch cyberman from doctor who 2006.For a 5 inch figure articulation is incredible with rotating head and boots along with jointed thighs, shins, shoulders, elbows and even hands.Detail is superb and the paint on the body is makes the plastic look like metal.a perfect toy for me to recreate doctor who scenes (im using my moms account) like rise of the cybermen, and, (with a few r/c daleks) doomsday.This is my favourite toy of the series so far. Mr. J. T. N. Cleverley "Derek the Dalek" Only for the Cyberfan who doesn't care about other Episodes. To be honest, and though this boxset contains some of the best episodes of the New Series thus far, like many of the boxsets released for the Classic Series it seems pointless if you own any of those episodes - and in this case, all four episodes may be purchased upon the Doctor Who Series 2 Boxset, which is now only a few pounds extra if you don't already own it, contains ten other episodes and a lot more extras.In any case, if you want the lowdown as to what this boxset contains, here we go. 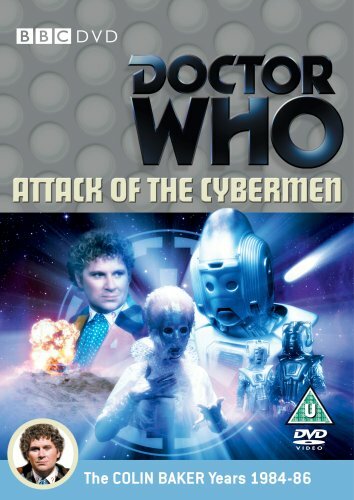 The set has as previously mentioned four episodes, which are the two part stories of 'Rise of the Cybermen/Age of Steel' and 'Army of Ghosts/Doomsday', the latter of which also features the dreaded Daleks. Both stories were some of the best featured during the 2006 Season, but as stated both can be found for much better value in that season's boxset. The lack of the Cybermen's most recent appearance in 'The Last Doctor' is also glaring, and there doesn't seem to have been any kind of audio commentary either, which of course they had when released in the Series 2 Boxset.The extras are also hugely disappointing - there's an introduction by David Tennant, who of course is brilliant but its a bit of a weedy extra. The only other addition is a documentary which details the best Cybermen moments across both the Classic and New Series, but again theres little you could see anywhere else.To conclude, this was something of a pointless exercise and the Boxset is a bit of a waste of money considering the lack of the Cybermen's most recent appearance and the fact that all these stories can be found elsewhere for much more value. 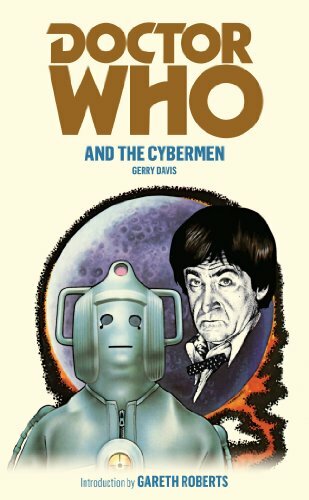 If the only thing you like in Doctor Who is the Cybermen, then you might like this - otherwise you won't find much in here that you haven't seen already. R. Le Quin "Harlequin" Revenge typifies 1970s Doctor Who at its best Sadly, for much of the last twenty years, Revenge of the Cybermen has always been underrated, arguably due to the fact that it was the very first VHS release and watched so many times, that most fans became bored of it. It has all the right elements. The fourth Doctor era at his best before it became humourous a few years later. For some (me included), the best Cyberman design, and certainly the snake-like Cybermat is glorious compared to the 1960s ones. Elisabeth Sladen and Ian Marter are one of the best companion double acts, and the scene where Sarah gets poisoned is simply brilliant. Jeremy Wilkin is suitably chilling as the secondary villain.The story has a few flaws, such as the chocolate roll planet effect, the American Cyberleader accent and the Cyberleader shaking the Doctor, but that aside it is an almost-classic still worthy of five stars.Revenge of the Cybermen should have been released on its own, but it was not, and I partially accept this on the basis that one gets a bonus bit of cardboard when two or more stories are clumped together.Silver Nemesis should have been equally good, but is heavily flawed which was marginally remedied with the extended VHS Silver Nemesis. Why we have not got this here as an option beggars belief, it now seems rather pointless just having the deleted scenes as extras. Anyone who has the VHS, hold on to it!! !Revenge *****Silver **Overall *****Revenge should not suffer because Silver is with it. The box set is certainly cheap enough. Luke73 Great Entertainment! 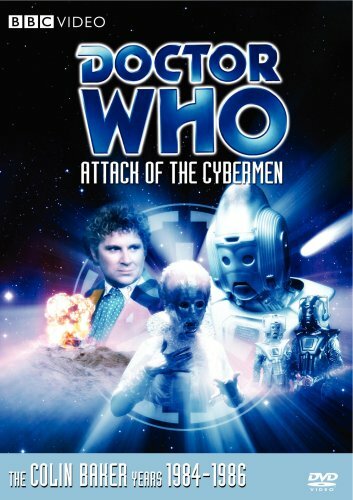 Way back in 1975, I didn't know what cybermen were or heard of them before until Weetabix did a promo of Dr Who stand up figures in their cereal packs and one of Dr Who's enemy featured was a Cyberman and lo and behold that same Saturday evening Revenge of the Cybermen story was broadcasted. Brilliant! I really enjoyed this story. So nostalgically the release on DVD has been brilliant. 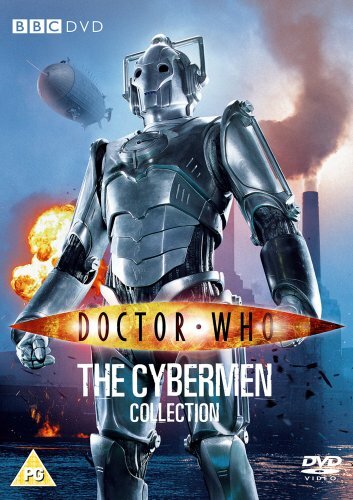 I have since seen most of the Classic series Cybermen Stories with EarthShock and Revenge being my all time favorites, though I do not rate the 'New' series Cybermen as I think they are useless and boring.The highlight of the DVD extras for Revenge of the Cybermen is 'Cheques, lies and videotape'. This is a well produced and fascinating documentary about what die-hard fans would pay in terms of money and swap-exchange of Dr Who memorabilia to get hold of rare Dr Who stories on Video before they became commercial and available in shops. Often the quality were so poor like the 10th generation copy of Revenge of the Cybermen featured in this DVD extra.The featured Easter Egg is the original 1983 BBC Video intro before the Video programme starts.The Making of Revenge is great. The newsreport at Wookey Hole featuring a great Tom Baker interview before his pre-fame Dr Who role. 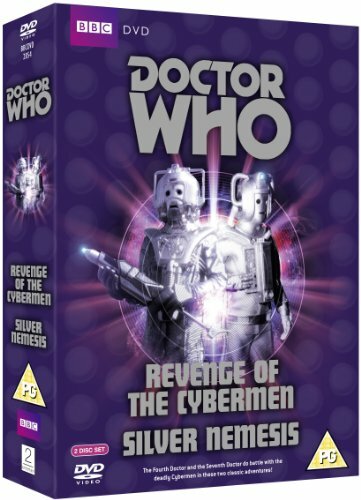 This DVD extra was already featured on The Ark In Space DVD, however it is relevant on this Revenge DVD.The Revenge of the Cybermen Photo gallery seems to be lack lustre compared to previous DVD releases. Not many Cybermen photos but too many boring Vogans pictures.. Surely a right balance of interesting photos and behind the scenes would have made this more interesting like they did with Frontier In Space/Planet of the Daleks photo galleries.I've seen small clips from TV documentaries from Silver Nemesis and reviews about the story, but I have never watch this Cybermen story ever until this DVD. From a fresh outlook point of view I really enjoyed this 3 part tale. It's fast pace, with some great stunt scenes and pyro-technic explosions. The scene with Ace on the metal frame balcony overlooking the TARDIS below was terrific!The Extended Deleted scenes were an added bonus as an extra, clocking in around 22 minutes!The making of Silver Nemesis was great; the lead actors gave some great imput.I found the photo gallery for Silver Nemesis faired better than Revenge of the Cybermen DVD.Another Tom Baker story The Seeds of Doom is due out on 25 October 2010. 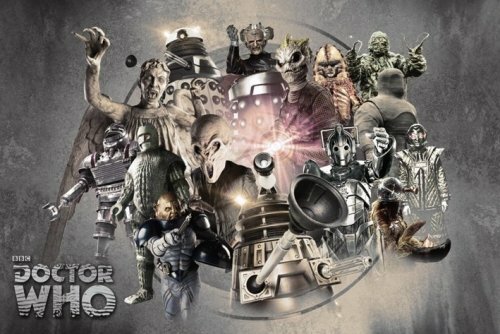 Also reported is Day of The Daleks DVD sometime next year which will include a new optional voice track for the Daleks. The Mutants is also expected. 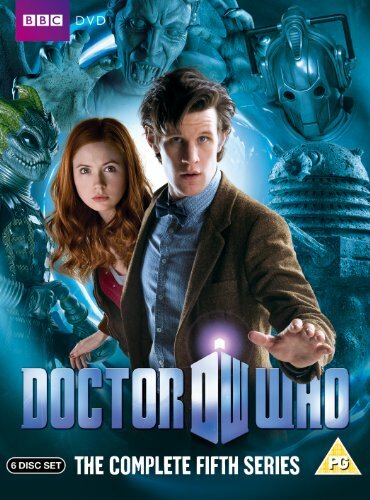 Doctor Who – TV Show Poster (Enemies Through Time – Daleks, Weeping Angels, Cybermen…) 36×24 Poster Art Print . High Quality. Perfect for Framing.